We often discuss health. But what is health – rather good health. We referred to the dictionary for the first post, but – to be very honest, good health is difficult to define. However, keeping in mind that bad health is equated with the presence of a disease, ideally good health should not only be the absence of a disease but, from a broader perspective good health should encompass a much positive idea about both – mental and physical fitness. Every individual’s health is defined by several perspectives including social circumstances, medical care, behavioural patterns and also attitude towards life in general. So, healthcare in general is an important aspect in an individual’s life since good health does ensure happiness. While healthcare largely refers to prevention, treatment and of course managing health properly, our behaviour related to health is largely shaped by our own values; upbringing and also the kind of company one keeps. Healthy individuals succeed in completely mobilising all their resources – both mental and physical – thus enhancing their chances of survival and leading a happy fulfilling life. 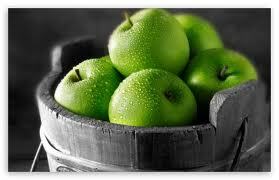 Achieving full health quotient, more so remaining healthy is an active process that requires constant efforts. Natural health is normally based on prevention of diseases while keeping our mind and body under complete control of ourselves. It is more about striking a balance and maintaining the same throughout through three major aspects – a balanced diet, right amount of physical exercises and proper regulation of emotions. Once we have been able to achieve this balance – health along with happiness is definitely ours. This entry was posted in Health and Wellness and tagged Disease, Facilities, Health, Human nutrition, Medicine, Physical exercise, Physical fitness, United States on August 30, 2013 by missionsharingknowledge. The Oxford Advanced Learner’s Dictionary defines health as the “state of being physically and mentally health”. 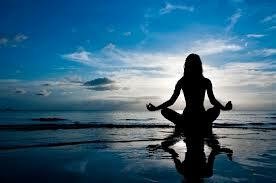 An integral part of human life, health and fitness is also a good way to find happiness in life. There are several ways to gain health and fitness. Firstly, it is our eating habits and secondly sleeping for adequate hours in a day and or finally forms of physical exercises like – swimming, cycling, jogging or yoga. An unhealthy or unfit human body is prone to several diseases. In the recent past, the concern about health and fitness, especially among young Indians, has increased to a great extent. The mushrooming of health spas, fitness centres, yoga schools are examples of the same. Today’s generation look forward to a healthy lifestyle even after retirement – thus more often they are seen in indulging in fitness activities in order to not only stay fit but also look younger. Despite such increasing health concerns, a large percentage of the populace tend to neglect their health concerns due to increasing hectic work schedule – where probably a power-point presentation is more important than a mere 30 minutes’ brisk walk in the early morning. But what we fail to realize is that such hectic schedule, can actually take a severe toll on out health, both – mental and physical. Here comes the importance of striking a balance. Acquiring good health and maintaining it throughout is not an easy task. It is a result of constant efforts that yields perfect results. But once achieved, you are bound to cherish it all your life. So, cheers to good health and happiness. This entry was posted in Health and Wellness and tagged Fitness, Gym, Health, Health club, Muscle, Physical exercise, Physical fitness, Weight loss on August 29, 2013 by missionsharingknowledge. A member of the cabbage family, broccoli derives its name from the Italian plural broccolo meaning ‘flowering top of a cabbage’. 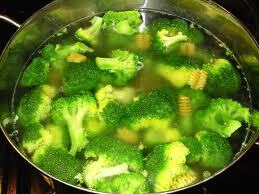 Broccoli has been considered a valuable food among the Italians since the days of Roman Empire. There are mainly three types of broccoli – Calabrese Broccoli, Sprouting Broccoli and Purple Cauliflower. Anti-Inflammatory: Broccoli is a rich source of flavonoid named kaempferol that helps battling inflammation and allergies. Detoxification: The presence of three phytonutrients – glucoraphanin, gluconasturtiian, and glucobrassicin has a strong impact on the body’s detoxification system. Fights Vitamin D Deficiency: The presence of vitamins K and A in broccoli help keep the metabolism of Vitamin D in the body. 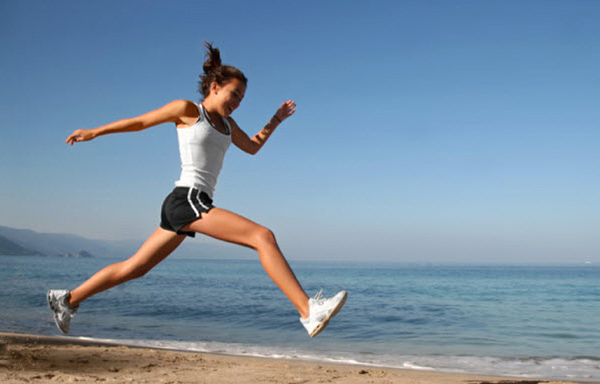 Proper balance of Vitamin D promotes bone and health growth. 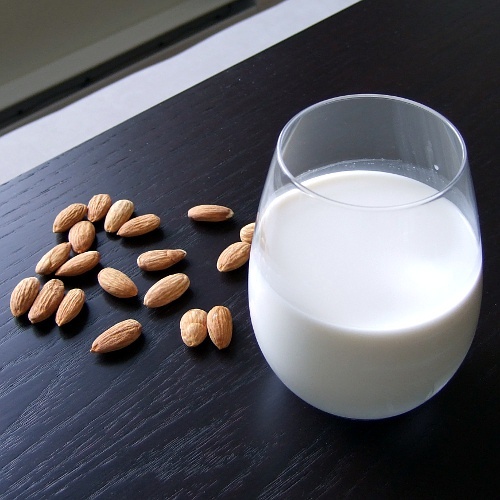 Rich Source of Fibre: A rich source of fibre helps lower cholesterol levels. It also facilitates digestion. 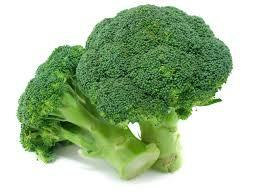 Good for Eye Health: Studies have shown that regular consumption of broccoli helps improving eye health. The presence of two major carotenoids- zeaxanthin and lutein is extremely good for eye health. Supports Skin Repair: The substance glucoraphanin present in broccoli, when converted into sulforaphane helps in repairing skin damage – the result is you get a healthy glowing skin. Rich in Potassium and Vitamin C: Potassium helps controlling high blood pressure while high Vitamin C ensures absorption of iron. Cancer Fighting Abilities: The presence of glucoraphanin in broccoli, is processed by the human body into something (a compound) that is capable of preventing cancer. The vegetable is extremely rich in indole 3 carbinol that is a powerful antioxidant. Other anti-carcinogenic substances are known to prevent the development of prostate cancer, breast cancer and also cervical cancer. It also promotes the growth of a healthy liver. Health organizations advise eating broccoli several times a week. However, remember, the vegetable has to be cooked properly. If it becomes too tender it might not retain the nutrients. So, always slow cook or rather boil or lightly sauté broccoli before having it. This entry was posted in Health and Wellness and tagged Broccoli, Food, Fruit and Vegetable, Glucoraphanin, Health, Italian, Roman Empire, Vitamin C on August 25, 2013 by missionsharingknowledge. Consumption of tea originated in China nearly 4000 years ago and as far as Green Tea is concerned, it was first brewed in 2737 BC, during the reign of the Chinese Emperor Chen Nung. Over the ages, Green Tea has been known and extensively used for its medicinal purpose long years together. But what makes Green Tea so popular and endearing. Lets take a look. Wondering that consumption of a liquid can actually do such a wonder? Well, yes it does. Regular consumption of green tea increases the rate of metabolism. The substance named polyphone present in green tea works towards intensifying the levels of fat oxidation. It also intensifies the rate at which our body burns calories. Consumption of Green Tea is known to reduce the risk of oesophagus and breast cancer. However, the cancer fighting abilities of green tea is not only limited to these two. 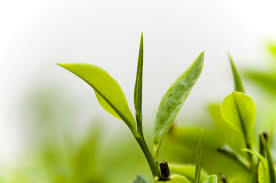 Flavinoids present in green tea helps reducing cancer risk. The antioxidant in green tea has been proved to be 100 times more effective than Vitamin C and nearly 25 times better than Vitamin E.
Moreover, Catechins found in green tea help deactivate certain carcinogens, prevent cell mutation and reduce the formation of tumors. Drinking as many as four cups of green tea in a day can help reap the benefits. The lowering risks of heart diseases and stroke has long been associated with Green Tea. According to Harvard Health Publications, regular Green Tea consumers develop lower risks for heart diseases. The presence of the strong antioxidants in green tea, blocks the oxidation of bad cholesterol and increases good cholesterol thereby improving arterial functions. A Chinese study, published in the Archives of Internal Medicine showed nearly 50% reduction in hypertension risks in those who consumed Green Tea on a regular basis. Presence of flavinoids, natural fluorides, catechins and polyphenols are known to kill bacteria that are responsible for causing tooth decay, gum problems and bad breath. A study published by the European Journal of Nutrition, found that those who consumed at least two cups of Green Tea everyday, developed less risk of tooth decay. However, it is advisable that you consume Green Tea without sugar or honey. Though researches are still being undertaken about the Green Tea’s association of promoting bone health, but some studies have found that routine consumption of Green Tea for more than five years can help in reducing the risk of diseases such as osteoporotic fractures. Green Tea is also thought to reduce bone loss through antioxidant and anti-inflammatory activities. It is believed that Green Tea also helps in bone building cells. 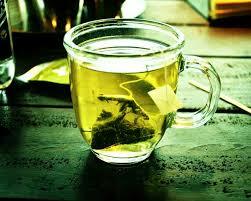 In a cup of hot boiled water, add one or two teaspoons of green tea leaves. Keep for five minutes and strain. You can add ice if you want to have this beverage cold. But, always remember to be able to reap the benefits of Green Tea to the fullest, have it plain, without sugar or honey. This entry was posted in Health and Wellness and tagged Archives of Internal Medicine, Beverages, China, Green, Greentea, Harvard University, Health, Tea on August 19, 2013 by missionsharingknowledge. Phew! I’ve finally touched the halfway mark. And another 20 weeks to go. Time does fly!! The serious rounding of my tummy finally makes the pregnancy feel more like a reality. Week 16 to week 20 has been interesting, yet again. The little orange (no more a peanut folks!) is growing nicely (touchwood) and is busy practicing its twists, rolls, kicks and punches. Definitely no WWE Dear Husband, if it’s a boy! I’ve had and still going to have enough action inside to last a lifetime. As the baby doll keeps itself busy performing acrobatics inside, there is no better proof that a brand new and remarkably spirited life is evolving within me. It’s around this time the little one gets to taste whatever I eat. So out goes the green chili sauces (yea, I developed a taste for it over the course of my pregnancy) and in comes everything that’s sweet. Sugar, I’d definitely watch out for you!!! And hurray, my little one has its own unique fingerprints. Biometrics, we’ll meet you soon! There’s something about an obvious bulging mid-section that attracts gratuitous advice-givers and you can’t even turn a deaf ear to. I call ‘em old wives’ tales! As much as these tales do have a strong base in facts and some have been scientifically proved, how accurate they are in every child born is still unclear. One such is providing the baby a head-start by conducting classes in the womb! You heard me right – providing an utero concert and reading great epics and/or classics is going to turn my child into Mozart and a soon-to-be Booker prize winner!!! My my aren’t we being pushy parents even before the baby comes out?!? Nevertheless, I see no harm providing a uterine environment rich in music and literature; it helps me bond with the little one, much before its first momma cuddle! And it helps having an astounding singer in the family – my Dear Husband! His YouTube music videos do make up for his absence every day and my kid’s jus loving it (and me too, as the baby kicks to the tunes of its father!). And out comes the dusty classics (now dust-free) which I read away to my belly every day. Boy! This is definitely turning out to be a lot of fun! Will meet you all soon with updates on the 6th month chronicles. Au revoir for the moment!!! Disclaimer: As much as the above experiences are my own, I have definitely referred to my pregnancy bible “What to Expect When You’re Expecting” by Heidi Murkoff and other pregnancy blogs easily available on Google for certain details and reasoning. This entry was posted in Career Moms, Education, Feminism, Happiness, Health and Wellness, Love, Opinion and tagged Calendars, Family, Google, Heidi Murkoff, Home, Pregnancy, What to Expect When You're Expecting: 4th Edition, YouTube on August 18, 2013 by missionsharingknowledge. What is the first thing that comes to your mind when you think of garlic? A strong pungent smell? Or an ingredient rather a condiment that enhances the taste of cooked food? Well, whatever it may be, but this small pod has several health benefits. A member of the onion family, garlic has a 7000 years of use in human history that originated in Central Asia. Garlic has several health benefits. Read on to know more. Antiviral and antibacterial aspects are the most important benefits of garlic. Consumption of garlic help in reducing bacterial and fungal infections. Fresh garlic helps preventing food poisoning as well. Though not much prevalent, but certain chemicals found in garlic such as ajoene are known to fight skin infections like athlete’s foot and ringworm. Storehouse of powerful chemicals and proteins, garlic helps in reducing blood pressure. Protein named Angiotensin II, contracts blood vessels, thereby increasing blood pressure. Alicin, a chemical present in garlic, blocks the harmful activities of angiogenesis and helps in reducing blood pressure. Garlic is known to fight cardiovascular diseases such as heart attacks as well. Garlic is an enemy of cholesterol and it thus help in reducing the aortic plaque deposits that gather around the veins of the body. Studies have found that garlic can actually work wonders for battling heart diseases. 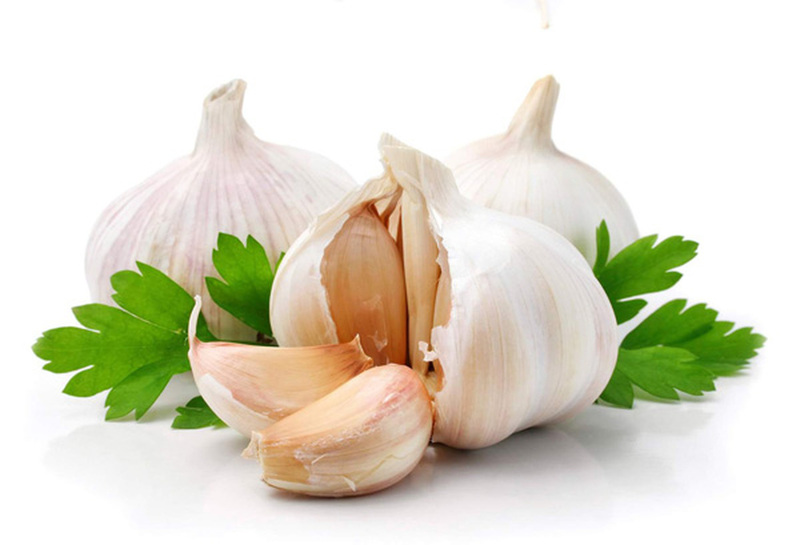 A strong source of Vitamin B6, garlic helps in boosting immunity system of our bodies with the growth of new cells. It also wards off cold and cough. Presence of Vitamin C in garlic helps fighting scurvy and high levels of iodine is an effective killer of problems related to hyperthyroidism. Regular intake of garlic is known to reduce risks of developing certain types of cancer. Chemicals like allyl sulphides found in garlic are known to reduce risk of cancer developments. Enough of medicinal properties! Garlic also has the power to boost your pleasure principles and many cultures are known to treat impotency with the help of garlic. So think twice you before you visit your doctor the potential prescription of Viagra! On a last note, always remember that anything in excess is not good. So do consume garlic for your well being after being fully aware of its benefits as well as disadvantages. This entry was posted in Health and Wellness and tagged Allicin, Blood pressure, Cancer, Central Asia, Garlic, Health insurance, Lung cancer, Vitamin B6 on August 13, 2013 by missionsharingknowledge.